It's difficult to ignore how much intranets have changed since they first became a staple in the business world. 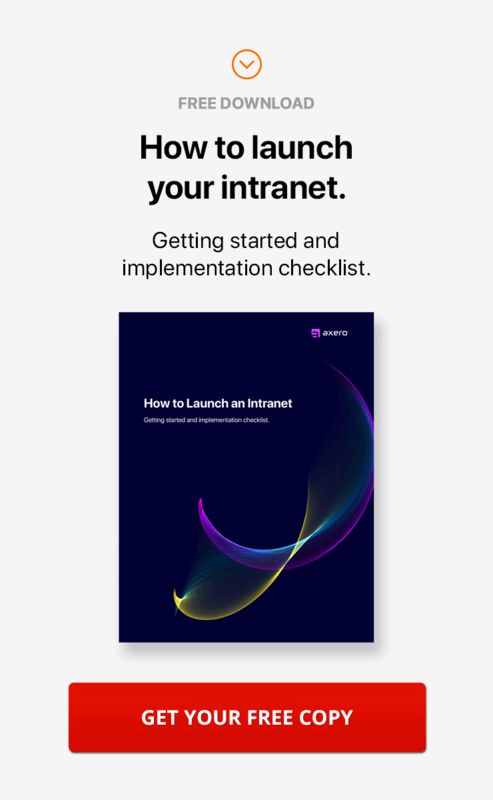 Gone are the days in which clunky, ugly interfaces came to mind when you heard the word "intranet" ... because modern social intranet software has changed everything. Today, employee intranets aren't too different from the social networks people use to keep up with family and friends, and their functionality has made it easier than ever for businesses to improve employee intranet engagement. An intranet is only as effective as how it's being used, and the best way to ensure smooth sailing is to start at the top. Unfortunately, a lot of managers and higher-ups don't realize just how important it is to engage with their employees. Your staff wants to feel as if they're on the same level as you, and there's no better way of making this happen than to foster an open dialogue for communication. Employees that are engaged in their work and make the most out of the company intranet will most often do a better job than those who are not, and every type of business will surely benefit from high levels of engagement. Improving employee engagement with social intranet software may seem like a difficult process, but it doesn't have to be. The beautiful thing about the modern intranet is that it can be tweaked, customized, and configured in so many different ways that companies can build a social community that is unlike anyone else's. This can be somewhat of a double-edged sword, as some people take today's flexible intranet software way too far, creating communities that are difficult to navigate and simply have too many things going on. Complexity can certainly have its time and place, but its usually most effective to keep things as simple as possible. An employee intranet that is easy to navigate and comes along with low barriers of entry will be far more enticing to staff members than one that causes confusion. The goal is to take complex ideas and and make them simple, emphasizing style without having to lose any substance. It's a tricky line to walk, but if you're mindful, you'll end up improving employee engagement in your social intranet. 2. Send out an employee satisfaction survey. 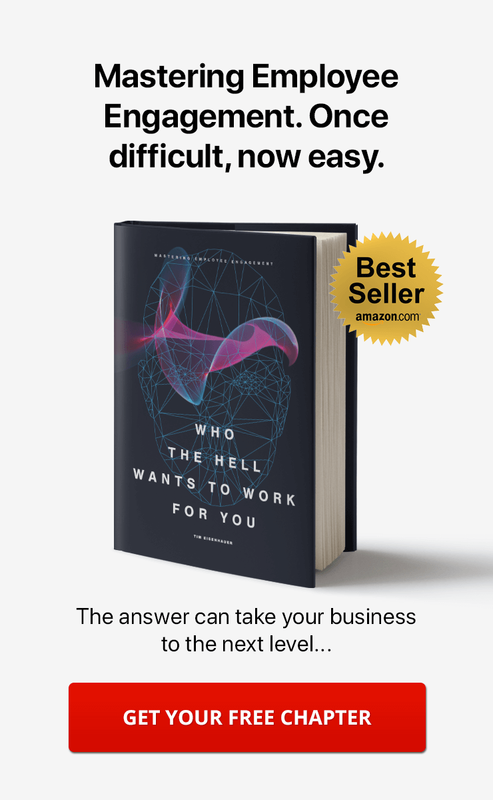 There's a general sense in today's world that surveys don't really matter anymore, and many people who hold this notion are certainly onto something. Surveys that are overwhelming or time-consuming certainly don't do a business any favors, and sometimes, they can even cause issues among staff members. Still, a properly-designed survey can actually have quite a bit of utility, and it's an excellent tool to determine whether or not members of your staff actually enjoy using your social intranet. When designing an employee engagement survey, try to keep questions straightforward, yet open-ended at the same time. This will ensure that the feedback you receive will actually be useful, rather than being characterized by a few "yes" or "no" answers. Keep in mind, though, that the longer your survey, the less likely it is that your staff will complete it. Just as in the design of your employee intranet, any surveys you send out should be simplistic in nature. Training employees to use their company intranet can be an intimidating process for many managers. It's true that training is time-consuming when approached haphazardly, and this is just one fear that causes many managers to skirt around the need for a hands-on, strong training program. In many cases, the best way to ensure that employees are properly trained is to provide personalized training. When initializing intranet training, a group session may be a good starting point, but it's important to make yourself available to answer any questions. Your employees should be able to bring up any concerns or points of confusion. This will improve employee engagement efforts from the start and keep intranet usage issues from popping up. This will save time and eliminate confusion down the road. 4. Clarify goals from the beginning. For staff members to be engaged in your social intranet, they need to know exactly what is being expected of them. Often, managers will come up with a mental image of employee tasks, yet it's common for communication issues to get in the way of translating these expectations. Creating a process that fosters clarification is essential. There are many ways you can articulate the goals and responsibilities you expect of your employees, some of which will be more effective in certain situations than others. For instance, you could open a case within a space in your community, listing all of your current needs and assigning specific responsibilities to each employee. Keep in mind that communication is the key to success, and you'll cut down on the potential for any issues to occur. No matter how fine-tuned you think you have your social intranet, it's important to realize there's always room for improvement. This is especially true for those who don't crowdsource ideas on their intranet, as it's necessary to hear the opinions of others. Holding a focus group is one of the most effective ways to improve employee engagement through your social intranet. One of the best things about modern social intranet software is that it can be used as virtual meeting spaces. This means that you don't need to be located in the same geographical area as other staff members in order to have an effective meeting, as everything can be handled virtually. Hold a focus group every few months to ensure that your intranet never strays off the right path, as the information you gain from staff members can be extremely useful. 6. Take advantage of your intranet's news feed. An intranet's news feed is one of its most useful features, yet many people don't realize how much mileage they can get out of it. When properly utilized, your news feed can serve as a central location for information and updates about your social community, achievements that have been made within your organization, and practically anything else. 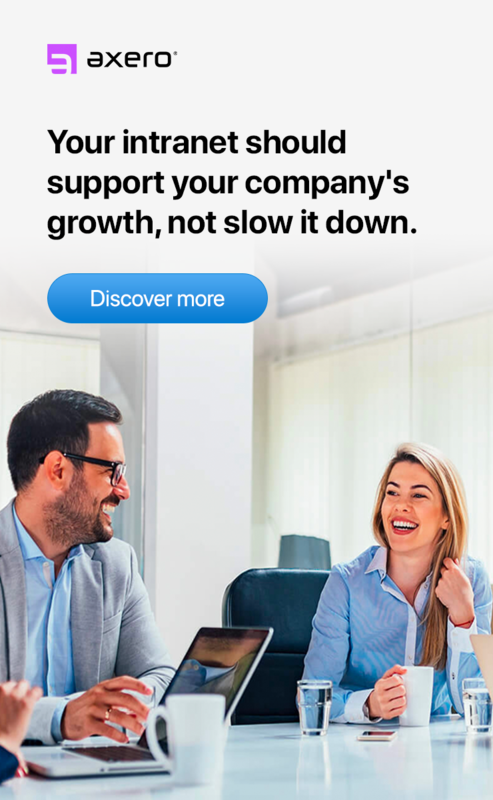 Since every member of the community has their very own news feed, you can ensure that this is one of the most effective tools you have to improve your employee engagement model. Even though your news feed can be very effective for updating staff members on recent happenings, information overload will occur if you post too much or too often. Keeping updates consistent, yet adequately spaced is typically the best rule of thumb to follow, but be sure to experiment to see what works best for your own social community. 7. Make your employee intranet entertaining. A long day at the office can be enough to drain practically anyone, regardless of how engaging their work. Sometimes, the best way to keep these issues from popping-up is to add elements of entertainment to your intranet. A social community should be fun by nature, as intranets that are designed with "social" in mind tend to be more relaxed than the alternatives. 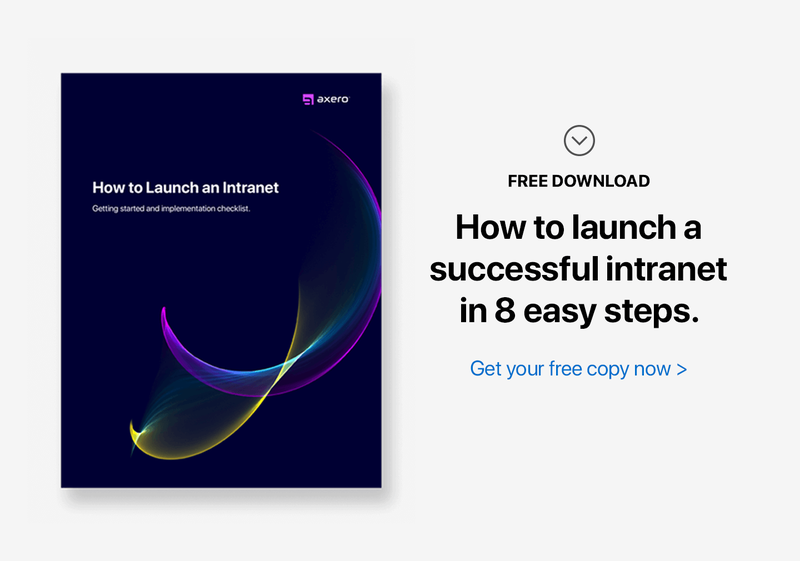 Still, there are plenty of ways to make your intranet even more entertaining, and the benefits are worth working towards. Implementing aspects of entertainment within your company intranet doesn't have to be time-consuming or difficult. Often, it's as simple as posting a humorous video or meme to your community, which can be enough to spark conversation and get people laughing. It's little things like this that help to break up the day, and you can go as far as to actually create spaces devoted specifically to hobbies and interests that are shared by members of your organization. There are lots of tools in your social intranet that can help improve productivity levels and keep your staff on-task, and this is especially true of intranet calendars. Having the ability to share calendars with other staff members can bring about a number of benefits. Most importantly, it will help eliminate the chances that an important meeting or event gets overlooked. However, a calendar is only an effective employee engagement catalyst if it's updated on a regular basis. It's best not to overload shared calendars, as this can result in confusion. Still, calendars are ideal for highlighting important meetings and events, and you can customize your invitations to further improve employee engagement on your intranet. If you're consistent and vigilant about how you update your calendars, you'll stand to gain quite a bit from using them. 9. Put content creation in the hands of your staff. Many managers don't realize just how much potential they have in their staff. More often than not, this results from employees not feeling as though they have the opportunity to contribute ... and this can have a number of negative effects on any social intranet. When you put content creation in the hands of your staff, everything changes. Tasking employees with creating blogs and wikis is an excellent way to get the most out of your employee intranet, and you can assign as little or as much work as you see fit. This can help you to identify individuals who have a true talent for writing and facilitating the exchange of ideas, which can serve you for years to come. You can articulate wants and desires to your staff all day long, but you're not going to get what you're looking for if you don't practice what you preach. Employees will have a hard time taking you seriously if you're simply sitting back and doling-out orders without actively participating in your company's intranet. Leading by example is perhaps the most important thing you can do to improve employee engagement on your intranet. Make a point each day to be visible within your social community in as many ways as possible. Leading discussions, posting informative content, and simply checking-in with community members are all great ways to ensure that you're setting a solid example. Your social intranet is the perfect platform for improving employee engagement. Put in the effort, and watch your business grow. I would emphasize and build on a few points here. For starters, keeping it simple is absolutely huge! If the platform you are using allows extra pages, tabs, widgets, etc. take a deep breath and pause. Like other kinds of professional documentation/presentation, see if you can constrain the look and feel to just 1 reasonably sized web page (a little scrolling is ok - alot of scrolling is not ok). Anything more risks traversing the jungle which is a very poor user experience. As a hint on how to do this, nothing should stop you from adding links or collapsible/expandable sections. Use the customer experience as your guiding light and use technology to intelligently place the light (i.e. overcome what you may have thought as impossible to do!). Surveys. Great advice here and there is another very good way to do this: instant polls. If the platform you are on does not have the capability, ask for it! Alternatively, there are tons of sites out there to generate an instant poll and the good ones will actually let you embed the poll in any collaboration object such as a discussion or document. Tim's advice for surveys equally applies to instant polls (and perhaps more so because there are probably more constraints in instant polls than surveys you create). Video. This fits many categories in this article and is worthy to comment on. When dealing with intranet, you likely want video to be "private". That means do not use Google - not even their private groups. Either ask you platform provider to give you video capability so that you can at least have a video library reference -or- consider signing up in many video cloud offerings that can give you privacy such as Vimeo, Kaltura or Brightcove (and all of these allow you to embed a video in a collaboration object like a discussion or document). Video can be used in part or in whole to realize some of the goals Tim lists here: it is a means to provide personal training; it can demonstrate some aspect of clarifying goals; it can make your intranet more entertaining; it can put content creation in the hands of all staff; and, last but not least, it can provide senior management a resonating (and very cool) way to lead by example (and for which, sometimes leading by example is just having fun - a previous Sr. VP in our company created a Christmas video that, to this day, continues to inspire us!). All in all, video has matured and has come of age which is why I have semi-ranted about it here (and no, I do not work for a video company!). Rob, thanks for commenting. I definitely agree on using video. And it's easier than ever to create videos with tools like Camtasia, Screenflow, Jing, or even using iphones or other mobile devices.